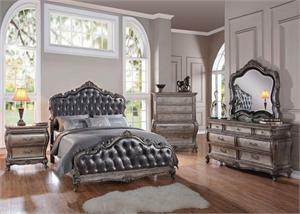 Contemporary styling meets classic design in this soothing canopy style bed. 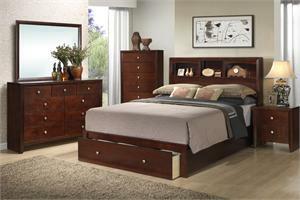 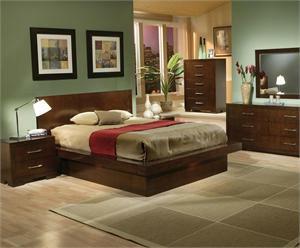 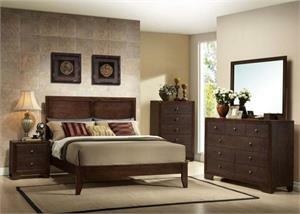 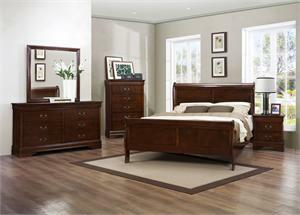 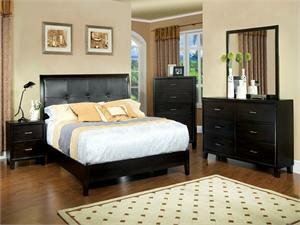 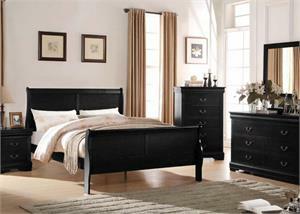 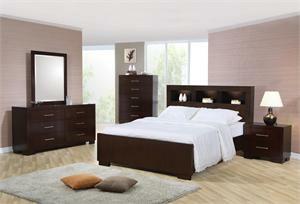 The platform bed features a wooden panel headboard to emphasize the simple, solid construction of the bed. 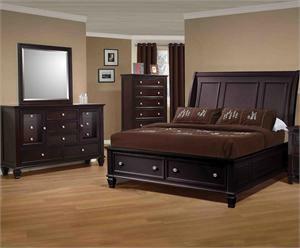 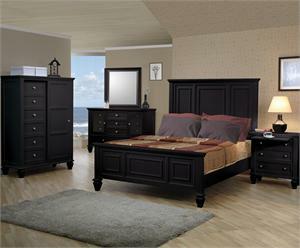 The matching case goods feature simple bar drawer pulls and a matching finish that highlights this bedroom set's wood grain.